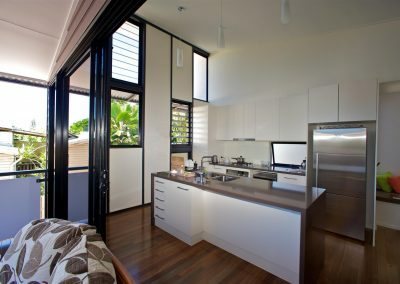 Studio Mango was approached by their clients to design and manage the construction of four spacious and airy units on a property in North Cairns. 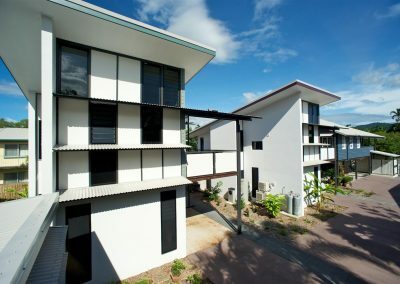 The resulting development retains the original parts of the existing Queenslander, relocating it on site and transforming it with select use of steel, to provide a large open plan living space and required carparking underneath. Two new double storey residences have been added to the site while an existing shed became the fourth dwelling. Each building is detached, allowing air to flow throughout the site and gardens in between. 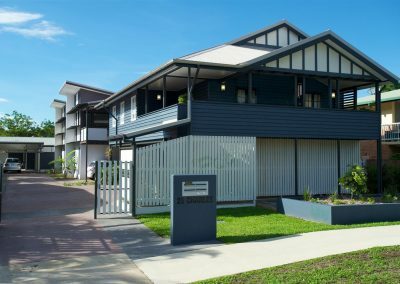 Their positioning provides privacy to each unit – an advantage their clients saw as beneficial when considering resale in the future. 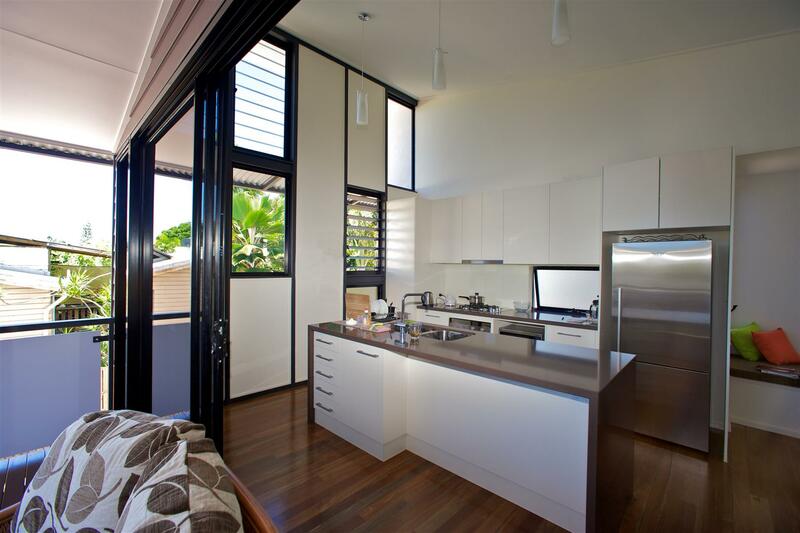 The two new dwellings have been designed with a modern, aesthetic approach to the renovated Queenslander. 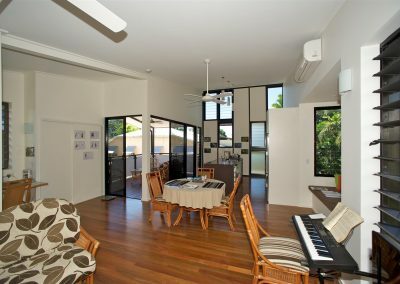 Bedrooms are located downstairs to utilise the shaded thermal mass of slab to keep the areas cool with clever landscaping to ensure privacy is maintained. 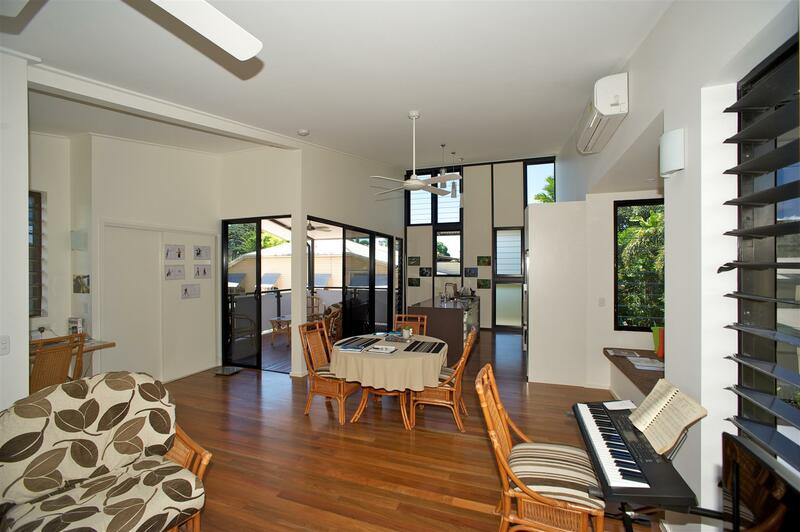 The living areas are upstairs to make the most of cooling breezes, with raking ceilings and high level venting. 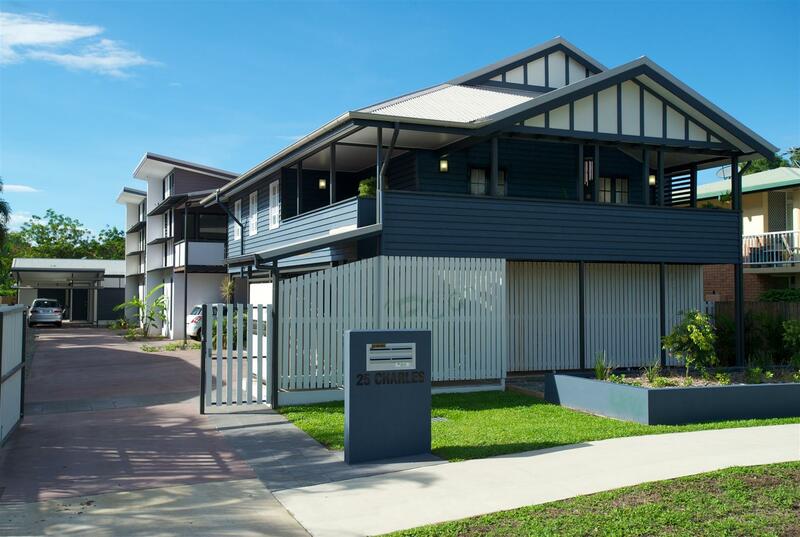 Altair Louvre Windows have been included into the design to assist with capturing these cooling breezes and to provide natural ventilation during the steamy rain season. 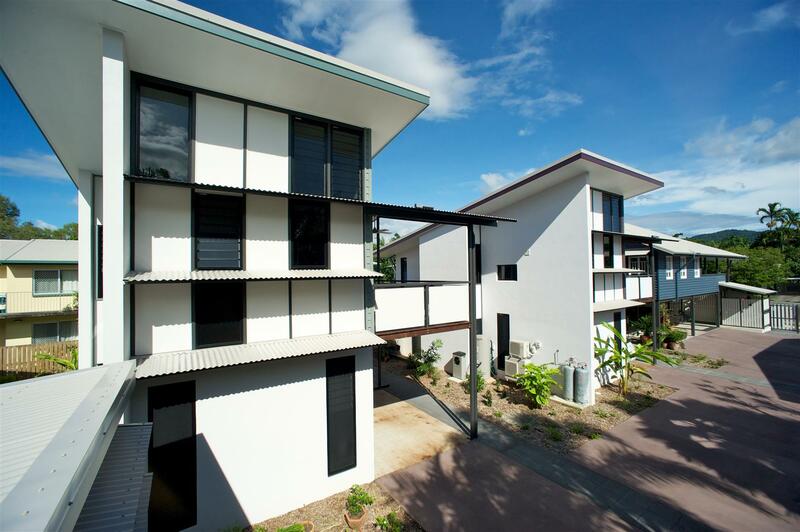 As each residence acquires its own identity and place, the completed project is a successful tropical interpretation of the unit/townhouse typology.